How INCREDIBLY Cool! 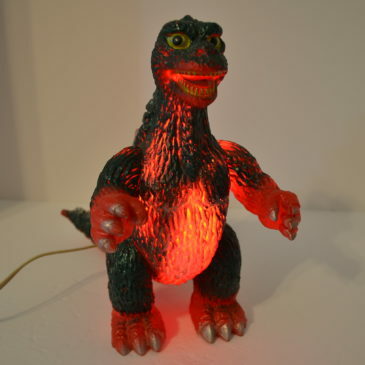 Add the soft GLOW of a Godzilla Lamp to your home. This great lamp blinks slowly with the flick of a switch. When the light is on the glow appears on his chest and fins, such a Unique Rare Godzilla item. It is made of hard vinyl in colors of red with dark green highlights.  Godzilla stands 11 inches high and is 11 inches from the tip of his nose to the tip of his tail. 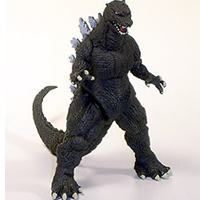 His design Is taken from the Popy Company Godzilla figures released in 1984. This lamp is in mint condition and we have tested it and it works. What a great and unusual item to have in your room. 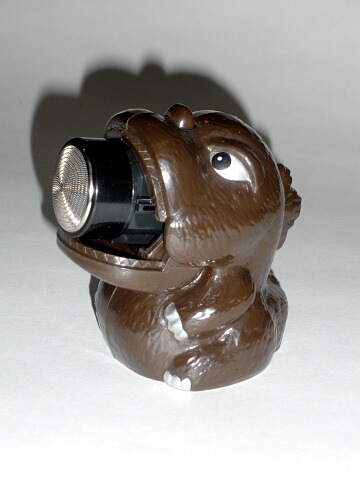 THIS IS THE VERY RARE GODZILLA SHAVER FROM BEETLAND CO. OF JAPAN! Made in 1984, this is TRULY ONE OF THE MOST ECLECTIC GODZILLA THEMED ITEMS EVER PRODUCED! We came upon this RARE ITEM while on a GODZILLA hunt at a train stop outside of TOKYO. The Shaver is made of plastic and is approx. 3 1/2 inches tall and is powered by two AA BATTERIES (NOT INCLUDED). You push his fins and the mouth opens up and the shaver head pops out. Push his button nose and it pops back inside Godzilla. Comes with original instructions. THIS SHAVER SAT ON A SHELF FOR TWENTY SIX YEARS!! The GODZILLA SHAVER BY BEETLAND COMES MINT IN BOX. Beetland even built a small brush for cleaning the shaver hidden in the battery compartment. THIS SHAVER HAS NEVER EVEN HAD BATTERIES PUT IN IT!! The box is a sweet C-9 condition. What a wonderful present this would make for the GODZILLA FAN WHO THINKS THEY HAVE EVERYTHING GODZILLA! CLAWMARK TOYS WARNING: THIS ITEM IS NOT SUITED FOR YOUNG CHILDERN DUE TO IT BEING SOOOOOOOO RARE! !